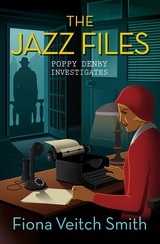 I enjoyed reading The Jazz Files by Fiona Veitch Smith last January, in part because it was the first novel I cracked open after my daughter’s birth (the name Fiona was coincidence) and in part because the foray into 1920s London was a lot of fun. 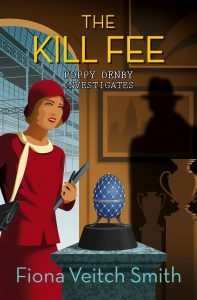 So I snatched up the opportunity to read Smith’s second installment of the Poppy Denby Investigates series, The Kill Fee. 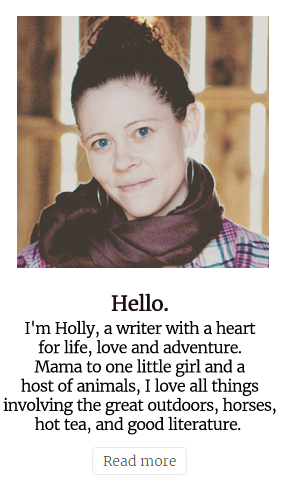 Poppy’s career is moving along with a permanent “beat” covering arts and entertainment at The Daily Globe. But in true Poppy Denby form, she stumbles into a mystery involving Russian aristocracy, priceless treasures, assassins and more. Will she be able to identify the murderer and find the missing Faberge Egg before anyone else gets hurt? I was drawn to read Irish Meadows by Susan Anne Mason because of it’s historical time period is of interest to me, and of course I love horses. Brianna O’Leary feels the pressure to marry well to secure the future of her family’s horse farm on Long Island, but her biggest dream is to attend college. Her sister, Colleen, is happy to marry, but her standards are high and exacting. Then a former stable hand and a distant relative come to the farm and turn the girls’ lives upside down. What will happen to the farm? And will Brianna ever be able to go to college? I admit, I cringed a bit about reading a book about horses. Mostly because I know enough to know when the author doesn’t. I was delighted to find that this novel had just enough about my beloved animal without focusing too much on it. So there wasn’t much room for error — smart author! I did like the way the time period was used as such a critical part of the book. That should always be the case with a historical fiction novel in my opinion. That said, the plot was a little weak and the characters a bit contrived. 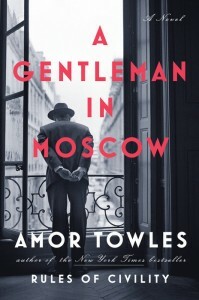 It was delightful to read, but I didn’t feel that it went very deep and some of the characters never really seemed to mature throughout the novel. For me, it was a fun one-time read rather than a classic I will return to again and again. 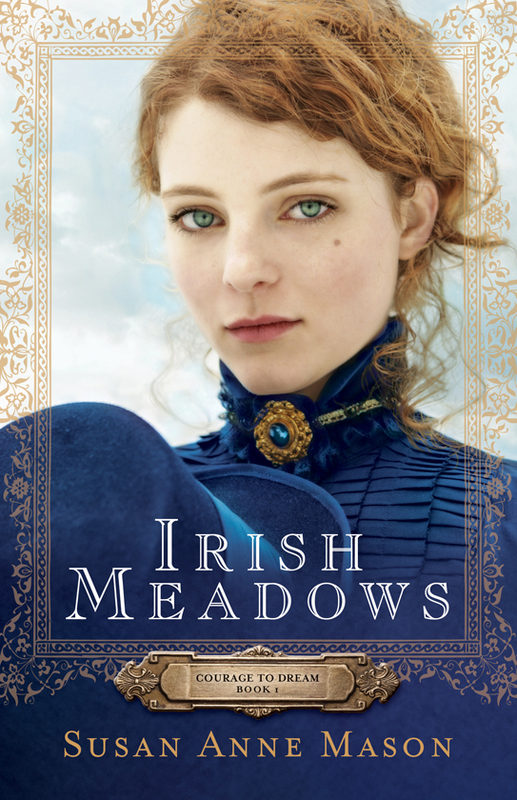 But for a debut novel, I would say Irish Meadows shows great promise and I’ll be curious to see what else Susan Anne Mason writes! I received a complimentary copy of Irish Meadows from Bethany House Publishers, but I was not otherwise compensated for this review. All writing, thoughts, and opinions are solely mine. 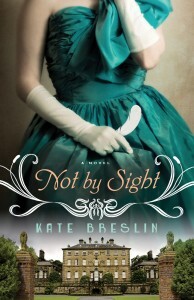 I selected Not by Sight by Kate Breslin because I am interested in the WWI era, especially the “home front” so to speak. While the plot was rather simple and not entirely original, the characters were interesting and I did learn about the time period (which is always my litmus test for historical fiction). Grace Mabry is determined to do her part to support her brother and all the other boys fighting overseas in WWI–even distributing white feathers of cowardice and eventually joining the Women’s Forage Corps, where she learns what hard work really is. Meanwhile, mysterious Jack Benningham is doing his part for the war effort, even if it includes perpetuating his reputation as a philanderer, until things go terribly awry. As Jack begins to heal and Grace comes under suspicion the two learn to grow in courage and in truth. I think my favorite part of this book was learning about the Women’s Forage Corps, while I had heard of the Women’s Land Army, I had never heard of the WFC. So this was definitely an education for me. I also enjoyed the historical context of the suffragette movement in England and the references to shifting classes (the wealthy trade class, wealthy American girls in search of titles, etc). Historical context is definitely the strong point of this novel. I came away with a better understanding and more knowledge of real historical fact than I had going into it. The characters were enjoyable and amusing. Grace Mabry was someone worth rooting for. The plot was probably the weakest element, and while it wasn’t terribly original or exciting, it did keep my attention. I would recommend Not by Sight for anyone interested in sweet stories and WWI historical context. It was a quick read and easily could be finished in a weekend or even a long day by the pool as summer winds down. I received a complimentary copy of Not by Sight from Bethany House Publishers, but I was not otherwise compensated for this review. All writing, thoughts, and opinions are solely mine. Having recently enjoyed reading the Divergent series, where the term Dauntless was, of course, key to the entire concept, I was a little skeptical, but intrigued when I received this new novel by Dina L. Sleiman titled Dauntless. Lady Merry fell from grace when her father stood up to the king – and paid with his life. Now she leads a band of outlaws in the forest, but they are unlike any outfit you’ve ever seen before. At 17, she is the eldest. The children are smart, clever and wily. They devise creative plans to steal what they need to survive without getting caught. But then Merry is captured, by none other than her childhood sweetheart who now works for the king. Will he turn her over to the king? Will he allow her band of children to be caught and hung? Or will the children save the day? I would have enjoyed this novel starting back before Merry became an outlaw. What was her life like then, what was it like to lose everything, what was it like to come of age under such circumstances, taking responsibility for so many little ones? This almost felt like it should be the sequel to the novel. That said, it was enjoyable, if not profound, and interesting, if not original. 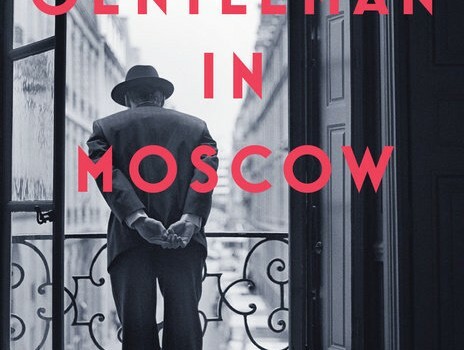 The unique historical background was certainly of interest, though I think I would have preferred more historical and cultural context so I could come away from having read it with a sense of having learned something of a different time. The characters were likable, the struggles real. I think Allen, one of the supporting characters, may be my favorite one of all. While I wasn’t blown away by Dauntless, I would certainly pick up another book from this author for a quick, fun, enjoyable read. So if that’s your speed, I can recommend it! A few years ago, I read Elizabeth Camden’s Against the Tide. I liked the book well enough that when the opportunity arose to review another of her books, I went for it. 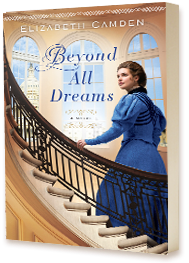 Her latest release, Beyond All Dreams, is an interesting story from inside the heart of the Library of Congress in 1897. Anna is a quiet-as-a-mouse map librarian in the Library of Congress, living a predictable but content life in spite the hurts and struggles of her past. Luke is one of the nation’s most powerful, and charming, congressmen left in a fight to save his career after infighting with Congress leadership. Under duress, Anna joins Luke’s quest to save his job and in return, Luke sets out to help Anna solve the mystery of a lost ship. Together, they find themselves surrounded by secrets that could prove perilous. I think my favorite part of this story is my favorite part of every historical fiction — learning more about history. I can honestly say I didn’t have much knowledge of the formation or early workings of the Library of Congress, but as a lit nerd, I definitely find it interesting. And even though I’m not much for politics, I also enjoyed the nuances about Congress and the congressional pages and all of that. It’s a very good testament to a historical fiction novel if I come away with a greater knowledge of history. That said, I read this book almost entirely in one sitting. It was a breeze to get through (and I am a slow reader! ), which makes it ideal for a vacation novel or something to pick up on the next snow day. It isn’t a complex masterpiece, but it is certainly enjoyable. I received a complimentary copy of Beyond All Dreams from Bethany House Publishers, but I was not otherwise compensated for this review. All writing, thoughts, and opinions are solely mine. I love Regency era books, Jane Austen being a major weakness of mine. 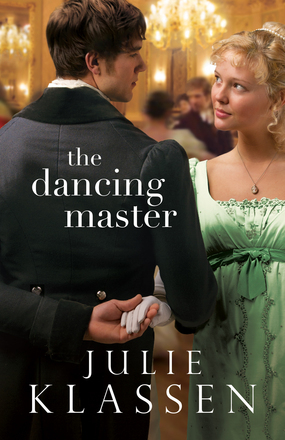 So when the opportunity arose to review Julie Klassen’s The Dancing Master, I jumped on it. Lately from London, dancing master Alec Valcourt hopes to help his family begin a new life in the small town of Beaworthy by opening a new dancing and fencing academy. Then Alec receives surprising, and devastating, news: there is no dancing in Beaworthy. As he sets out to change the opinions of the townspeople, Alec’s unlikely ally is the daughter of the town’s matriarch, the very woman who banned dancing some twenty years prior. Meanwhile, as young Julia struggles against her mother’s firm control, she sets out in search of who she really is and just what her future might hold. The Dancing Master is rather long (419 pages), which could either be taken as a positive (lots of story for a $15 book!) or a negative (it takes a long time to get through). I found the plot to be rather drawn out and lagging at times. The characters were likeable but somewhat one-dimensional. The hero, Alec, is rather too good to be true and experiences little growth because he has few flaws. The heroine, however, is full of flaws and young Julie grows immensely throughout the course of the novel. The romantic relationship between them, however, is hard to swallow. Julie is simply too immature and impetuous to warrant a second glance from a mature, wise and hardworking young man. The barrier of their respective classes, while noted in the beginning, in the end seems to vanish without much explanation. Perhaps most disappointingly, faith, instead of being woven into the fabric of the story and characters, seems to be tacked on in certain scenes as though only important at specific moments. And the exploration of the Bryanite culture is cut short and lacking any real depth. I was sorry to see this as I was interested in learning more about this subculture of Christianity that I knew/know little about. My favorite part of Klassen’s novel were the rather minor quotes at the start of each chapter often detailing some bit about dancing or culture of the Regency era. Some were by fiction authors of the time, others came from non-fiction, still others were simple advertisements. They gave the book a dose of reality amid the story. And, as I knew little about dancing during the time (other than that it occurred), I enjoyed learning just what the position of a dancing master was, the relationship with fencing, proper dancing etiquette, etc. Overall, although lacking depth and being somewhat unrealistic, The Dancing Master is also a charming read. Read an excerpt for yourself! I received a complimentary copy of The Dancing Master from Bethany House Publishers, but I was not otherwise compensated for this review. All writing, thoughts, and opinions are solely mine. I’m a huge fan of British literature (Austen, Gaskell, Doyle, and so many more), and every so often a contemporary author writes a novel set in that culture that I truly, wholeheartedly enjoy (like English Ivy by Catherine Palmer or some of Linda Lee Chaikin’s novels). So when I received the chance to read Carrie Turansky’s new novel The Governess of Highland Hall, I figured I would give it a shot. Julia Foster was an impassioned missionary serving in India until her father became ill and her family was forced to return to England. 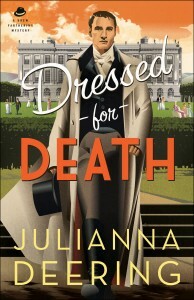 Struggling to fit in and earn the income her family needs, Julia takes a position as a governess for a wealthy family. Her faith, prayer, and Biblical methods turn the house upside down, and turn the head of Sir William Ramsey. As the family comes to deeply depend on her, Julia realizes that her presence might bring their ruin. 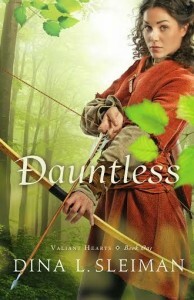 I was somewhat disappointed in this book because the plot was predictable. I’ve heard the tale a thousand times before (it’s a good one to be sure), but I was hoping for a new twist or spin or something original. Instead, Turansky’s contrived characters fulfill their predictable roles and the plot turns out exactly as expected. Turansky does deliver the upstairs/downstairs phenomenon that fascinates us Americans à la Downton Abbey, including the beautiful setting and inherent conflict therein. And, of course, the romance. However, she could have developed certain subplots and secondary characters to better flesh out the novel. I would have really been interested in hearing more about Julia’s reconciliation with her grandmother, but really this tiny plot twist was presented as a “deus ex machina” (which I’ve written about before). 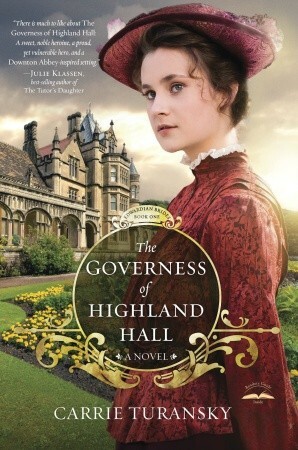 In all, I think The Governess of Highland Hall was a good attempt, but falls short of really standing out in a genre full to the brim with similar novels. The Governess of Highland Hall releases on Oct. 15th. I received a complimentary copy of The Governess of Highland Hall from Waterbrook Multnomah Publishing Group, but I was not otherwise compensated for this review. All writing, thoughts, and opinions are solely mine.